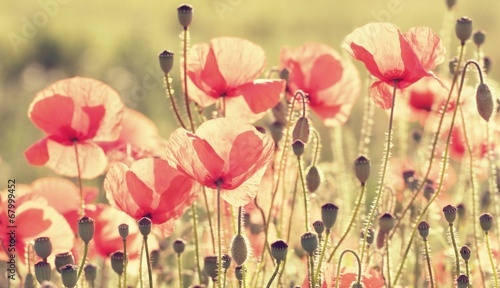 Red poppies are beautiful flowers. Thanks to their delicacy, every interior will gain new powerfull life. The photo wallpaper depicting a red poppy field will be a perfect addition to daily rooms, living rooms, bedrooms and other interiors in your house. It’s as original as an oversize sweater – it will fit in any interior.